Warren Fiske, editor of Politifact Virginia, has voted in Democratic primaries in all but one of the last 6 major election cycles. Virginia does not have party registration, allowing voters to select the ballot of their choice during the March primary. Fiske opted for a Republican primary ballot in 2005 when then-Lt. Gov. Tim Kaine ran unopposed for the Democratic gubernatorial nomination. Fiske’s votes would have violated the ethics policies of the Roanoke Times. "Staffers should … avoid active involvement in partisan political causes—including participation in primaries or meetings to choose political candidates—community affairs, social actions or demonstrations that could compromise or seem to compromise our ability to report, edit or photograph fairly," the paper’s employee conduct guidelines state. Former Washington Post Executive Editor Leonard Downie held himself to similar standards when he first took control of the newsroom. "I decided not to vote beginning in 1984 when I became managing editor. … I was the gatekeeper for what went into the paper, so it was important to not bring my own opinions [into the newsroom]," he said in a phone interview. Downie, however, does not believe that newsrooms should bar reporters from voting. "I made my decision, but everybody on staff was free to make theirs—we had plenty of ‘I Voted’ stickers on Election Day," he said. "Any step an individual needs to take to not be biased, they should take that step. If they have a strong opinion about an issue, they should recuse their coverage." Ginger Stanley, director of the Virginia Press Association, echoed that sentiment, saying reporters "are voting as citizens in their jurisdiction, which in no way reflects their role as journalists." Politifact Virginia is one of 11 state branches of Politifact, a St. Petersburg-based news service that monitors statements made by lawmakers and candidates. Its reporters assign one of six "truth ratings," ranging from Pants on Fire (ridiculous lie) to True (accurate, "nothing missing"). As an editor, Fiske is in charge of selecting topics to cover, review each analysis, and approve the reporter’s recommended "Truth-O-Meter" rating. 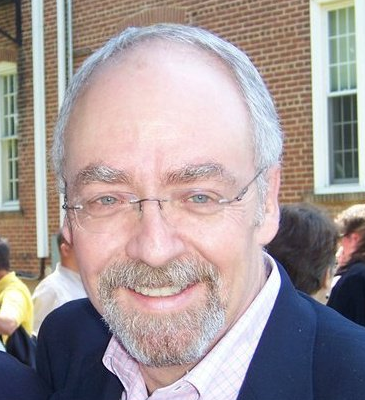 Fiske declined to comment, directing the Washington Free Beacon to the communications team of Politifact Virginia's partner, the Richmond Times-Dispatch. Neither Politifact nor its partner, the Richmond Times-Dispatch, returned calls for comment. Under Fiske’s leadership, the site has faced mounting criticism from the state GOP for perceived bias against Republican Senate candidate George Allen and Gov. Bob McDonnell. In July, the party released a comprehensive study of Politifact VA’s rating system that found that the site targeted Republicans over Democrats by a wide margin and used subjective analysis to give the GOP more false ratings. "PolitiFact Virginia purports to sit in objective judgment on the truthfulness of factual assertions by leading public figures, yet it fails to meet the very standard it claims to enforce," the report said. Fiske addressed those concerns on the Politifact site and in the pages of the site’s partner, the Richmond Times-Dispatch, soon after the GOP report. "We are not obliged to assign a False rating to a Democrat just because we gave one to a Republican," he wrote. "PolitiFact Virginia is not about mathematical balance between parties in our ratings. We’re about making calls on political statements that are in the news." Politifact’s coverage of the dead-heat Senate race between Allen and former governor and DNC Chairman Tim Kaine has drawn the most scrutiny from political insiders. About forty percent of Allen’s statements received some degree of false ratings compared to 18 percent for Kaine. Politifact has used different metrics in some of its ratings to skew the budgetary track record of the candidates, according to a Washington Free Beacon analysis. The fact checkers ignored the impact inflation and skyrocketing federal spending on programs like Medicaid had on spending increases while Allen was governor, declaring the Republican’s claim of fiscal hawk "false." Fiske has not made the same mistake when analyzing Kaine’s record. Politifact adjusted for inflation to downplay the dramatic spike in college tuition under Kaine’s watch, as well as to cast his spending record in a more positive light. When Kaine said that the "general fund budget shrank when he was governor," fact checkers discounted federal spending, failed to mention that Kaine attempted to hike taxes rather than cut costs and left the state with a multi-billion dollar deficit at the end of his term. The claim received a "True" rating. Downie said that fact checkers are an important development on the landscape of journalism. "I think they’re great because it’s difficult to go in depth in a 24/7 news environment. Fact checkers go much deeper and we need that," he said. "It’s important not to have strong views about what you cover … that’s what is most important." The Washington Free Beacon left out important context in its piece about PolitiFact Virginia editor Warren Fiske’s voting record, and we feel it needs to be addressed. First, Warren has not voted in a primary since taking this position. Second, according to Henrico County voting records, Warren has voted in five primaries, four Democratic and one Republican, since 2004, which is far back as the county records go. During that time, however, the Republican Party of Virginia held only two primaries. Warren voted in the 2005 GOP primary for Governor, bypassing a same-day Democratic primary for the two lesser statewide offices (Lt. Governor and Attorney General). The only other year he faced a choice was in 2008, when he voted in the Democratic presidential primary instead of the GOP primary. It is worth noting that Mitt Romney suspended his campaign right before the 2008 Virginia primary, so the Democratic primary was the competitive race. Your story also mentioned that the Roanoke Times has a policy against voting in primaries. But The Virginian-Pilot, where Warren was employed during the time in question, does not have a policy about voting in primary elections. We also do not have a policy at the Richmond Times-Dispatch (PolitiFact Virginia is part of the Times-Dispatch) on voting in primaries. Our professional conduct guidelines state: While news employees are encouraged to be active members of their communities and to exercise their right to vote, they must not be active in politics and should guard against public activities or exhibitions in areas of controversy. Some general examples include not donating money or advice to political campaigns, not wearing political buttons, and not displaying campaign signs or bumper stickers. So we don’t believe his voting record indicates a bias. We are also frustrated by the Republican Party’s attack on Warren and their attempts to discredit our work, which came after we spent hours listening to its complaints and responding to them. Our goal is to improve the political discourse by holding politicians accountable. While that makes some politicians uncomfortable, readers on both side of the political aisle have praised PolitiFact Virginia as a valuable addition to our newspaper. This entry was posted in Politics and tagged Democratic Party, Media. Bookmark the permalink.